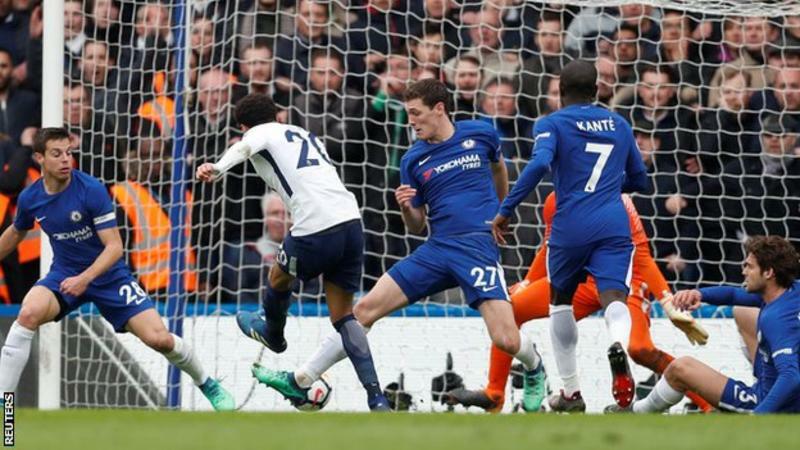 Dele Alli scored twice as Tottenham came from behind to earn a first win at Stamford Bridge in 28 years and damage Chelsea's hopes of finishing in the Premier League top four. A win would have moved the Blues to within two points of fourth-placed Tottenham and, after soaking up some Spurs pressure, they took the lead when Alvaro Morata headed in Victor Moses' cross. But Tottenham levelled just before the break, as Christian Eriksen hit a fierce, dipping effort from 25 yards that dropped just under the bar and over a stranded Willy Caballero.